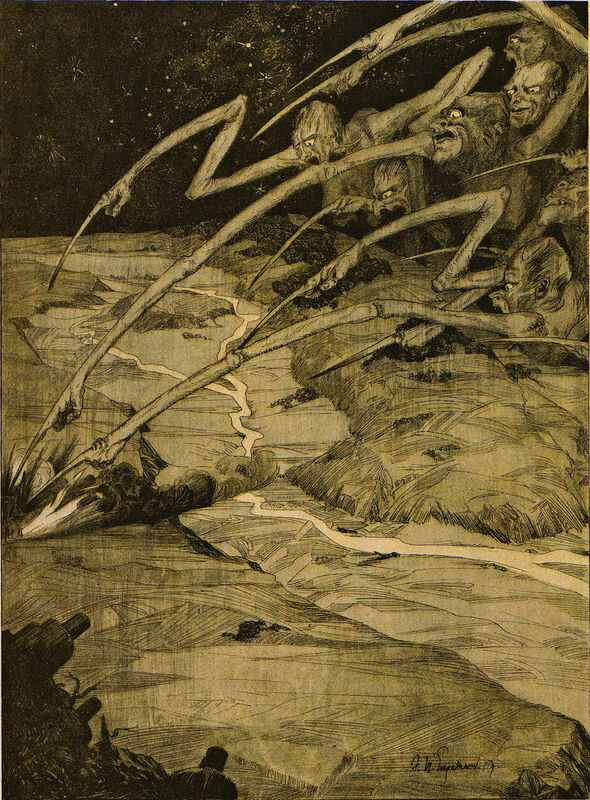 An illustration from Earthquakes by Arnold Noscowitz (1890). 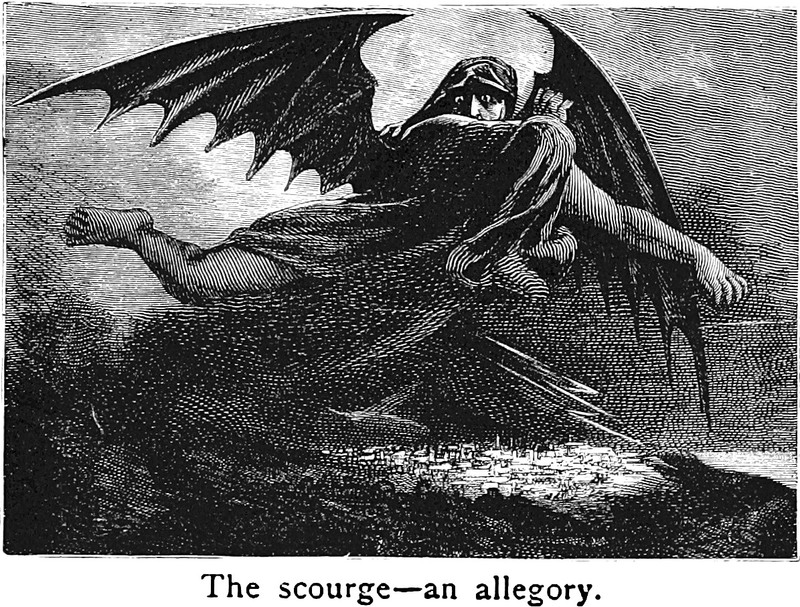 The caption reads: "The scourge—an allegory." 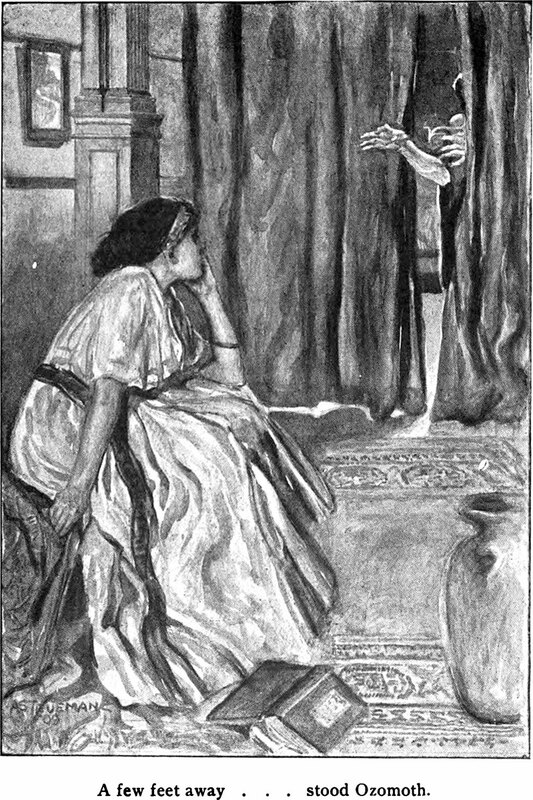 An illustration from The Divine Seal by Emma Louise Orcutt (1909). The caption reads: "A few feet away ... stood Ozomoth." 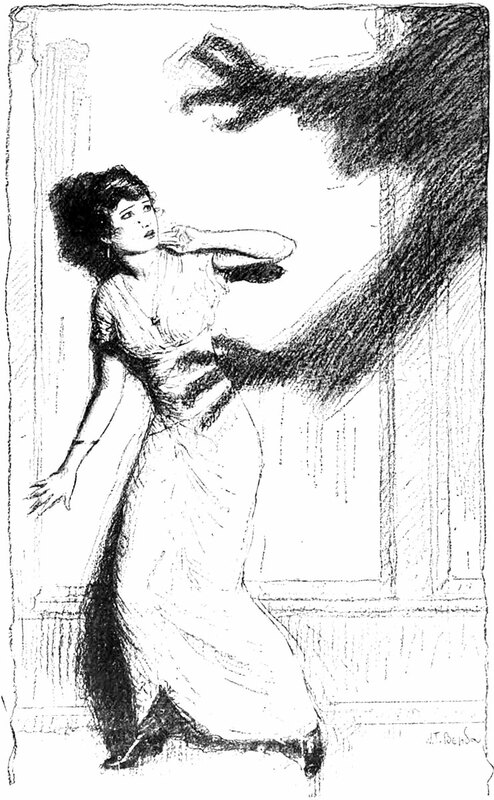 An illustration from a 1914 issue of Century Illustrated magazine.